In the opening episode of Series 14 Peter, Deborah and Touker invested in 15 year old Arminder Dhillon and his incredible cleaning product called the ‘Boot Buddy’. 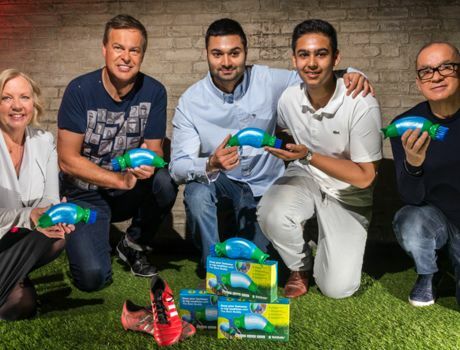 The idea originally came to Arminder and his brother Gurminder after being told by their mum not to bring mud into the house on their dirty football boots. As a result, one day after football training Arminder took a water bottle, plastic knife and a washing up brush, put them all together and the Boot Buddy was born. 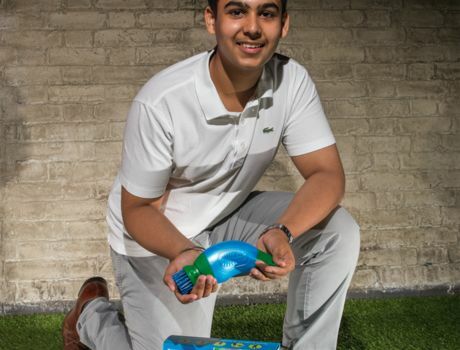 The Boot Buddy allows the user to easily scrub away mud from dirty footwear with the firm bristles of the brush, combined with the water which comes from the central body of the design. It doesn't stop there the design also has a built-in scraper which makes cleaning your footwear even easier. The Boot Buddy has taken boot cleaning to the next level due to its compact and unique design. 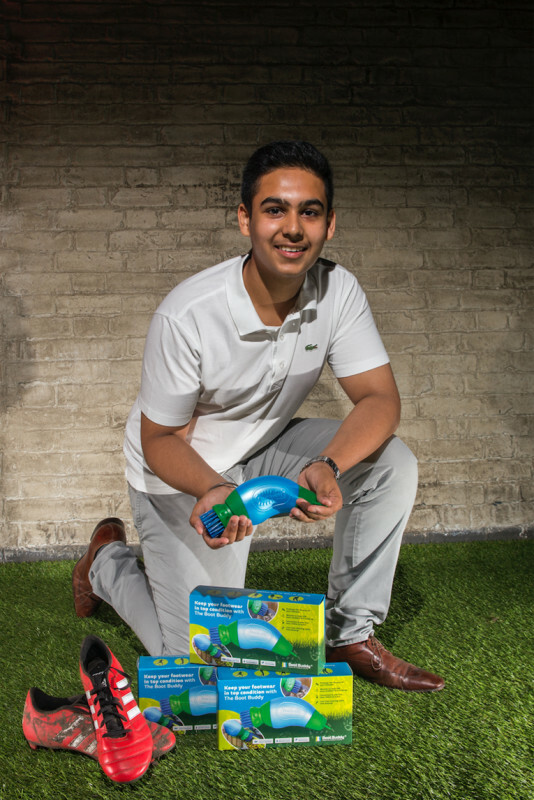 The product comes in high quality packaging and in addition saves water because the Boot Buddy uses a lot less water than when cleaning boots under a hosepipe. This product allows you to have fun while doing something that would otherwise be a chore. 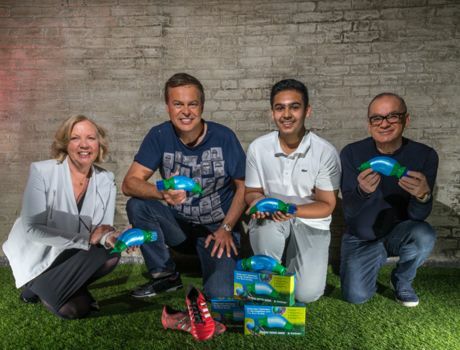 At just 15 Arminder shows that age is no barrier to business when you have a good idea and the passion to follow it through. Since appearing in The Den, children's bath time brand Good Bubble secured a national listing with Sainsburys. There is nothing more inspiring than seeing a young Entrepreneur setting out on their journey to success. I love that Arminder did that wonderful Inventor thing of taking a problem he was experiencing and solving it..albeit in a very “Blue Peter” way! With his Family supporting and backing him financially he has been able to protect the design and bring the product to the Market. 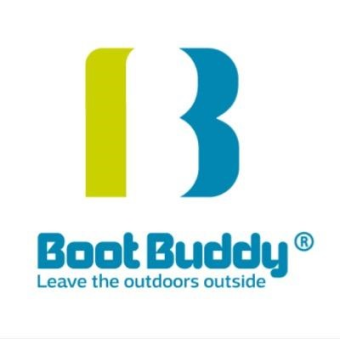 The Bootbuddy of today it is a carefully designed, easy to use practical solution to something that most of us need at some point. 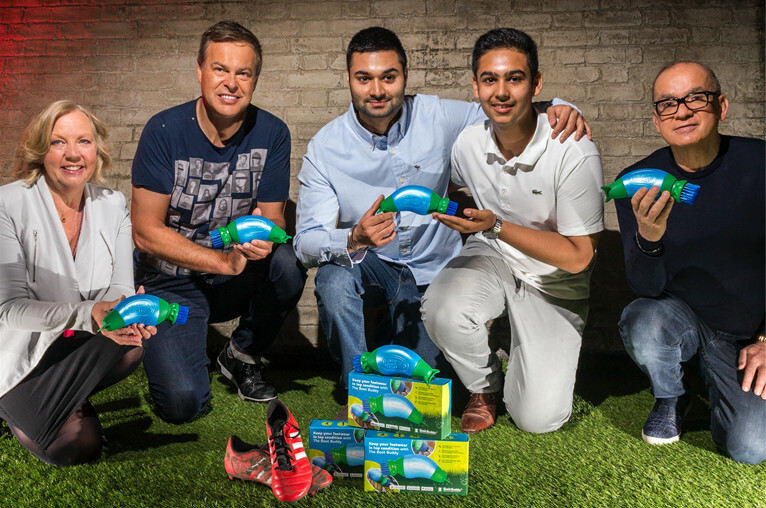 I can think of many uses beyond football so watch this space as we spread the word into different Markets. A British fashion brand epitomised by beautiful embroidery and hand-drawn prints.